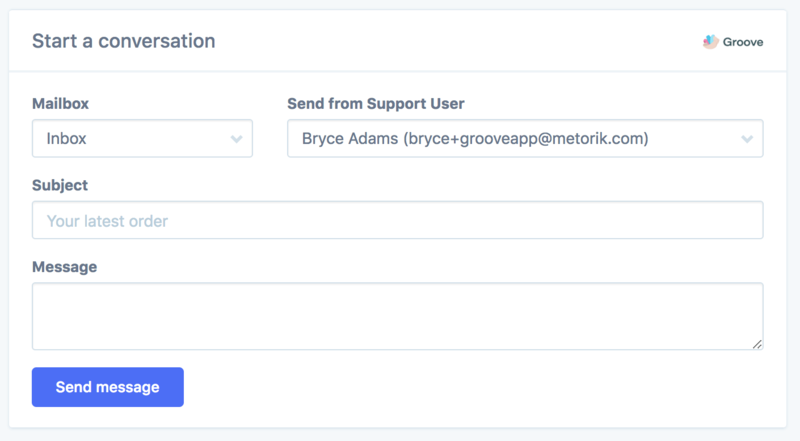 Metorik offers a 2-way integration with Groove Support. Copy the Private Token from Groove to Metorik and click the Connect Groove button to save. 1. The customer's tickets (under their email). Will only display if they have some. 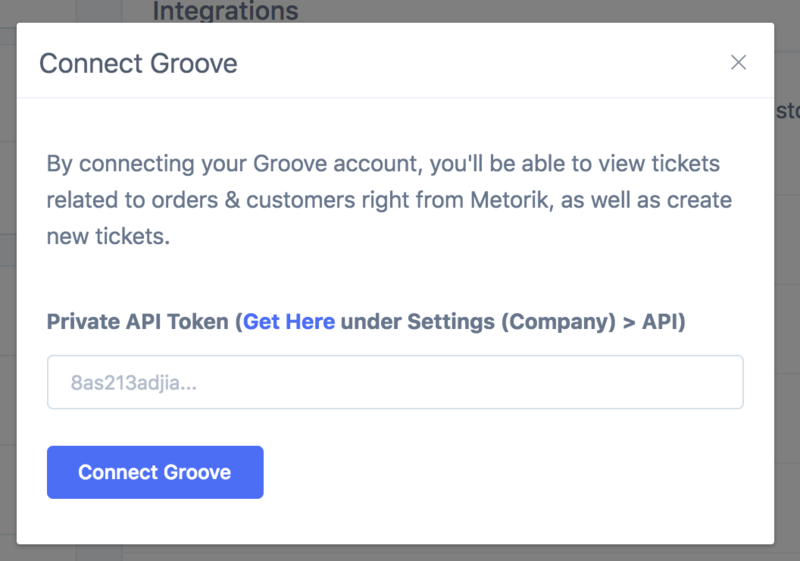 When a Groove ticket is created through Metorik, the status will be closed. If you want to have control over this in the future, please let us know and we will consider adding a dropdown for it. You can choose both the Mailbox and the Send From when creating a ticket. 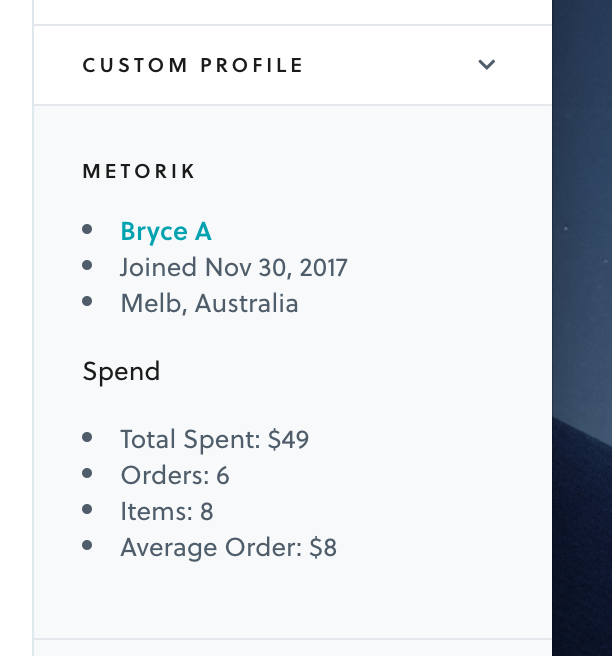 The second part of the integration is an app that lives inside Groove, which shows you information from Metorik about the customer you're talking to. Stats like their total spend, average order, etc. Login to your Groove dashboard. Choose the Apps tab in the top left corner of Groove. Select the Custom Profile app. Next, click the Settings button in the Custom Profile app. The custom profile data will only update after you receive a new message from the customer. It won't automatically be applied to existing tickets and there is currently no way to manually fetch data. Groove hopes to improve this in the future.